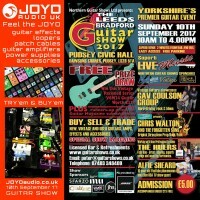 Come and feel the JOYO at The Leeds & Bradford Guitar show. This great day out is now in its 11th year and takes place at Pudsey Civic Hall, Dawsons Corner, Pudsey, LS28 5TA on Sunday 10th September 2017 from 10am to 4.00pm. Its our 3rd year at the show and we are bringing our entire showroom, even more JOYO gear than ever before in its entirety. 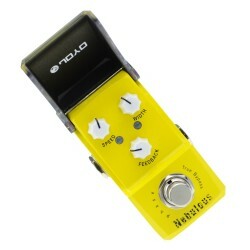 So if you are a pedal nerd come and see the entire range, or maybe you are looking for your first pedal, on a budget, need to get an effect fix, come and find us at the show and give the JOYO a go.. We will be there to help you get the right tone at the right price, happy to share what knowledge we have.. This is the biggest guitar event in the region and really easy to get to, it is a great opportunity to buy new, used and vintage guitars, amps, effects and accessories at special show prices. 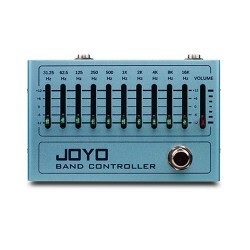 Apart from the opportunity to try out any JOYO guitar effect pedal and check out the new Bantamp heads in person..You can come and meet the JOYO UK team, ask us questions, thank us for saving you a load of money, the biggest range of effects at the show! Always a great day out for us and always popular with all..
Apart from us, the show features more than 60 exhibitors and dealers with special show deals, workshops, live performance and new product demos. 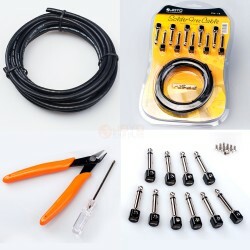 Many national and independent stores, luthiers and dealers are attending. A great day out for any guitar enthusiast and family friendly..
A bonus for everyone who comes along to the show a free prize draw for all attendees - you could win a Vintage Reissued Series V6M24 guitar plus runners-up prizes of The Guitar Magazine subscriptions. Admission £5.00, tickets on the door. Free parking. Bring your mates, bring your pocket money, credit and debit cards accepted.. 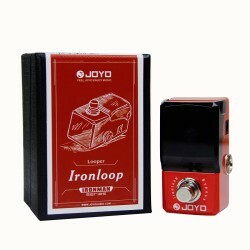 Tags: leeds bradford JOYO guitar show try buy JOYO UK JOYO retailers.